Axel Jacob (also spelled as Jakob) Petersson was born in Ålem, Kalmar County, Sweden, on 4 March, 1834. He was the son of Andreas Petersson (1790-1870) and Catharina Margareta Petersson (nee Selin) (1798-1870). Axel Jacob had two brothers: Johan Alfred (1827-1870) and Karl Andreas (1830-1867), and two sisters: Kristina Sofia (1829-1891) and Amanda Charlotta (1836-1917). In 1852 Axel Petersson enrolled at Teknologiska Instituten in Stockholm, where he studied civil engineering. He graduated in 1855 and until 1859 he worked in the Sveriges Kanalbygning (Sweden's Channel Building organization) and in the private Jernbaneanlæg (a Swedish railway construction company). 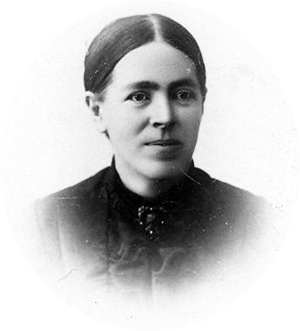 In April, 1859, he was hired as assistant engineer for the construction of the railway Kongsvingerbanen in Norway, and moved with his wife Thekla Helene Haak-Petersson to Norway. Axel Petersson was a brilliant engineer and universal inventor. He was famous with several books and articles, and the construction of railways and viaducts, steam engines, a rotating camera for photography, military equipment like a bayonet and a repeating rifle (see in the upper image Krag–Petersson rifle, developed by Ole Herman Krag and his friend Axel Petersson in early 1870s, and adopted by the armed forces of Norway 1876 to 1900 ), calculating machine (see the calculator of Petersson), and other devices. 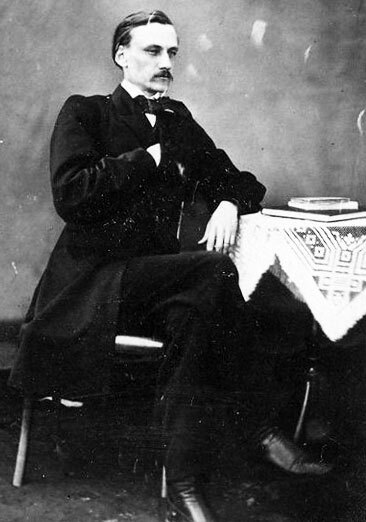 In 1860 Axel Jacob Petersson settled in Kristiania (modern Oslo), where in 1865 he was appointed as a engineering director of Norway Railway Construction Office. He was responsible for construction of bridges and viaducts on the Østfold Line and the Dovre Line between Eidsvoll and Hamar. 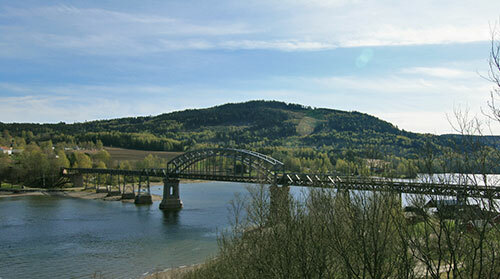 Some of the larger constructions was Minnesund Railway Bridge, the Ljan Viaduct, Hølen Viaduct and the Sarpsfossen Bridge. Petersson invented the pendular pillar principle, which was first applied on Hølen Viaduct. In Kristiania Axel Jacob Petersson and his wife Thekla Helene Haak-Petersson (born 12 November 1838, died 20 March 1894) (see the nearby photo) live in Akershus and had three children—two daughters: Annik (died in infancy), and Elin Margrethe (born 10 November 1868, died 23 September 1945); and a son: Axel Tage (1865-1952). 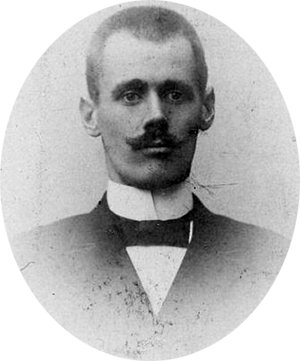 Axel Jacob Petersson's son—Axel Tage Petersson (see the nearby photo) (born 8 April, 1865, died 14 August 1952), became a doctor and worked many yers as a district physician in Elverun, a town in Hedmark county, Norway. Axel Petersson was a co-author of two books on machine design: Rules for Machine Parts Design (1866 and 1877) and Rules for the Design of Waterwheels and Turbines (1868). He also wrote a series of articles in the Polyteknisk tidsskrift journal, mainly concerning railway construction. Axel Jacob Petersson occupies a prominent place in the Norwegian railway buildings' history. In particular, he was an ingenious designer of bridges and viaducts with linked span. Petersson brought contemporary attention far beyond Norway's borders through his beautiful solutions to difficult technical tasks. His graceful railway bridge Järnvägsbron i Minnesund (see the lower photo), launched in 1879, is still in use. Axel Jacob Petersson was active until 1881, when as a result of over-strain (which eventually led to mental illness) became seriously ill and he never managed to recover until his death on 15 January, 1884, in Oslo.